WOW, what a summer! And we had the BEST weather ever…wonder why we worried? It does not matter, as we played all our tourneys and finished in a very competitive and exciting way! I am very proud of all our players, their play, and MOST importantly their “winning” attitudes and never quit approach (10U is exemplary). It is hoped that they will maintain the life lessons that they are learning and apply these important tenets to their everyday lives. The key lessons of preparation, ability to change/adjust, and perseverance are essential in this day and age. They will not only be able to solve problems but these skill sets will lead to good decisions and a happy and fruitful life. I realize that not every player or family was totally satisfied with our decisions and strategies but one must learn that in baseball, as in life, one must find their role and then a method to show the coach/boss that they merit more consideration…and “Life is not fair, and either is baseball” KWTP! This last tourney was historic. 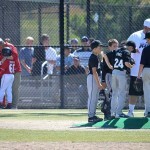 It ended with a 10 (yes, TEN) inning 12U championship game that was one for the ages. The Klouters lost on a walk off homer that was a shot into the dark at 9:30 pm. What a ball game! Winning or losing that game is not as important as playing in it..everyone competed and at any time, one little thing could have been the difference…and it was! The 10U game against the Tides was also a barn burner. 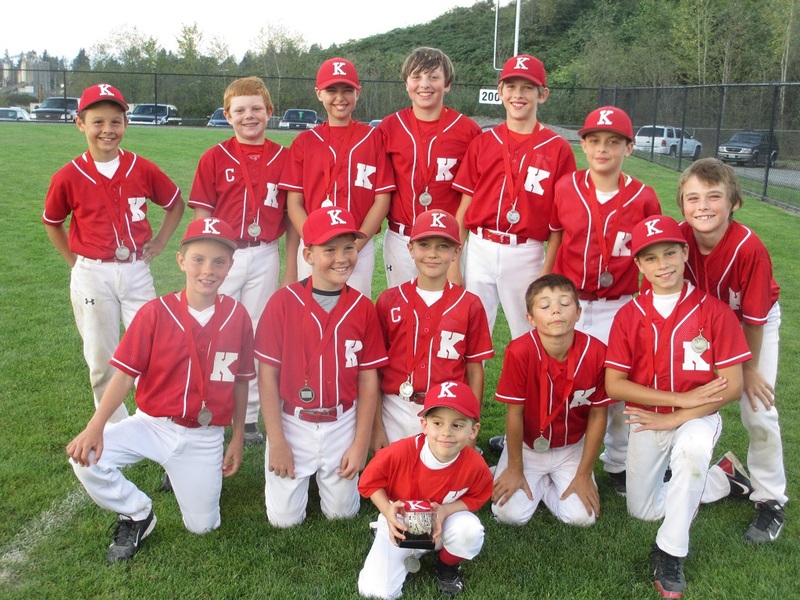 The 10U Klouters are one of the toughest, hard-fighting teams in our history. They never quit and will play short-handed or without any favors from the umps. They defeated the Tides in 7 innings with EVERY player stepping up and doing something that led to the victory…and they played it without two of their key players/pitchers!! 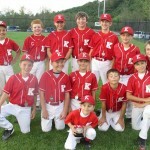 This tourney showed the character and passion of the Klouter players. All four teams made it to the final game and all competed on the highest level. I am most proud of the growth and development this season, but MOST proud of the demeanor of the players in the off-the-field activities. I commend each and every player who volunteered to play for other teams, the ones who put in tireless hours as interns at camp(s), the ones who did community service for their church, school, families, etc, and the ones who did the little things to make life easier for their parents, families and friends. Most importantly, I thank and commend, with ALL my heart, the parents/siblings/friends who gave us their time and efforts with the Kitchen, Booth, clean-up, donations, monies, and became the soul of our mission. Forget the wins and losses..focus on your contributions to the growth of the youngsters and the integrity of helping others! LTD! Each year the culminating tourney is bittersweet in many ways. It marks the end of another season of “fun in the sun” and winning and losing games. We took two firsts(9 and 11U) and two seconds. We lost very few games but most importantly we competed to the end in each and every one of them..3 losses and two were by one run! Secondly, we experienced a couple of losses that will live forever in the true ball player’s psyche. 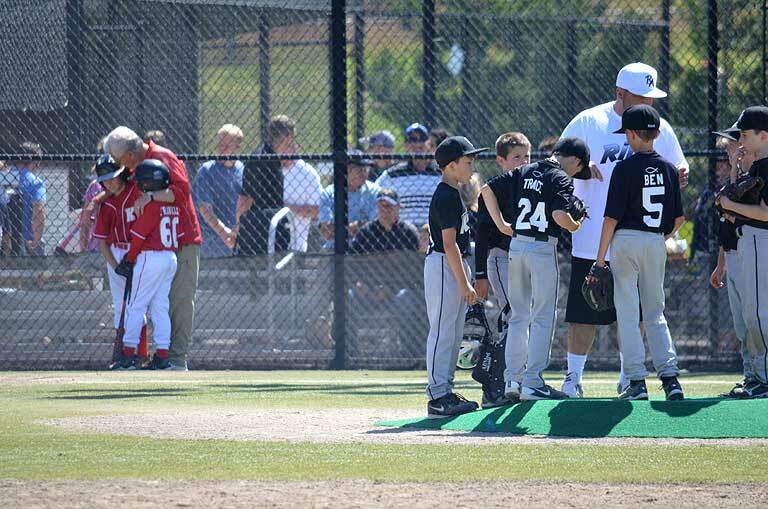 One of the greatest things about the game of baseball is that you really do experience the lessons of life. Some “lessons” really hurt and hopefully the pain and anguish will provide a warning and valuable asset for future life situations. PUP..Poise Under Pressure is the greatest “take away” I can think of from this final tourney! All 4 teams faced some very difficult and trying tests on Sunday. Some succeeded and some failed. The biggest questions for all are “Did I face it and did I do my best to compete and finish?” It is an answer only each of the players can answer. It is only a game but, if you play it as you should, it is more than that…it is a learning experience. For those of us that experienced the unacceptable losses, we need to feel the PAIN and ANGUISH/AGONY of defeat..it should burn in your gut and be in the back of your mind…if it does not and is not, then you need to rethink why you are on a team and why you play the game. Use this as a “tool” for future successes and as an asset to develop your character and life!! PUP!! The most important take-away: if you are a true player and do want to “get good”, you will begin now with new goals, a realistic routine for the off-season, and a renewal of commitment to be better. Each and EVERY player should begin working on the mental game and the following: BUNTING, SHORT, QUICK swings, and throwing with the proper mechanics. It is that simple. Without practice and work ethic, you will not be successful in any endeavor…especially a team game that is composed of individual skill sets!!! THANK YOU to all parents and family members who have been in the “kitchen” and booth this summer. We reaffirmed that our teams make the BEST chili ever and the desserts speak for themselves. The Klouter booth raised over $8,000.00 and will help many needy kids improve their quality of life. Your fantastic support and sense of family have proved once again that Klouters have the best parents and our philosophy of choosing parents REALLY works!! THANKS again!! A very HUGE thanks to Carla (and Brad) and for their leadership and coordinating skill sets that allow us the luxury of eating better and creating monies for those needy kids in the world. FirstSwing reaps the rewards of all your efforts/financial support, and very much appreciates the true love and care that you all take to create a rewarding and educational experience for all!! FAW!! WNM!!! 1. HEROES: “Playing for the Enemy”: Vaughn M., Evan G., Jake B., Dalton D., Cade H. Thanks!! 2. Pitching: Aiden A., Seth B., Addison M., Davis F., Ryan L., Parker C., Evan G., Ian M., TJ, Kirk H., Riley P.. 9U: No-hitter almost a Perfecto: Baldwin and Atkins; 11U: Championship 2-hit shutout by Ian M. and Zach H.
3. “Iron Men”: Behind the dish—Sean H., Sawyer K., Jojo E., Robley C., Johnny S..
4. 9-3 Club: Jake B. (closing in on the Klouter career record), Hayden I., Grant O., Steven W.. 7-4: Lleyton B., Drake B.. 8-6: Kemper M..
5. Defense: Aiden A., Cade H., Sean H., Sawyer K., Quinn I., Brady J., Parker C., Robley C., Zach H., Hayden I. Career Layout: Parker C vs Tides! Double Plays: J-Mac-Riley P to Sully; Cole D to D. Franklin; Q. Iacolucci with two putouts on the same play(one at home) to complete a very unique DP. Murphy to Ian to Robley in the Championship game. 6. Home Runs: Kirk H.-2, Ryan S.-2, Cole D., Ian M., Marco C., Nick T.. Rocket Balls: Big S., Robley Corsi, Jojo E., Dylan A., Jayden C..
7. Hitting: Cade H., Cole D., Nick J., TJ, B. Roberts, Ben N., Davis F., Robley C., Jojo E., Ian M., Aiden A., Jacob B. Highlight of the Tourney: Ennis two (2) key hits to defeat the Tides!! 8. “Mad Dash to Win”: Quinn I. Key Mad Dash: Hayden I, first to 3rd in championship game. Firestarter: Ben N. in 11U championship game. 9. Bunters: Walter H., Hayden I.i, Clay T., Jake B., Jojo E.. Failure to bunt: Too numerous to mention!!! 10. Versatility Award: Evan G. and his role as the wild card! 11. Adjustment: Nick J. and adjusting his hitting in the tourney!!! Things to Work on and Ponder: FAW!! 2. Moving to the ball: As you can see in every recap, we mention the lack of movement on defense. We win with defense (W3D)…but it is based on going to the ball on every play. As the pitcher winds up we are “creeping” to the ball and then sprinting to it. If it is not to us, we go into our defensive mode..ball, base, back up! Too many wait till after the ball is hit or gets by a team mate, then goes to it..TOO LATE!! You catch the ball with your FEET! 3. Outfield: First step BACK on a fly ball! Drop step and then go to the ball!!! Also, when a ball is hit in the gap or seemingly by you, take the ANGLE to where it is headed not to where is it was!! HIT the cut-off man and get the ball in..DO NOT hold on to it..when in doubt throw it to the pitcher!! 4. Our 2-strike hitting is improving, keep working on short strokes and contact hitting. Learn to turn away from a pitch and NOT jump out of the box..take one for the team. SHORT, QUICK SWING!! 5. Pitching Mechanics: Everyone needs to go back and review their mechanics and work from the stretch. The key to becoming a good pitcher is COMMAND..getting the ball to go where you want it to go!! Review the basic throwing drills and apply them to when you pitch! 6. Most importantly: Learn to adjust during the game!! We are not making proper adjustments in order to increase our chances of successfully executing. Key example is the number of third strikes we watch go by: most times it is because we are hoping for a walk or bending over to watch it sail by the plate. Move up on the plate and adjust to the ump’s strike zone and swing! Pitchers: As a rule (unless instructed to do so), NEVER throw two pitches the same speed, same location, or same type to the same hitter.. “down the middle” is only a default pitch!! Lastly, body language helps the opponent!! Stand tall and compete! Again, great job by all and THANKS for another great Klouter season..9 championships and a number of seconds…and we ate great!!! We will have our annual meeting to determine what we will be doing for next year in late October or early November. Our 12th Annual November Clinic will be in November (Kellogg Middle School) and will focus on hitting and pitching with the focus on off-season work. It will feature Don Long, an excellent MLB hitting coach! See you soon, Coach Phil GAGPTH! W3D, PUP, etal: OYO is the key!! 9U vs. Rijos – tied in the sixth. It was a close game! This entry was posted in 2012 Klouter Season Review on March 8, 2013 by admin.